Dogs are like people in some respects. Many are homebodies and prefer their creature comforts. Others prefer to be a little more adventurous. 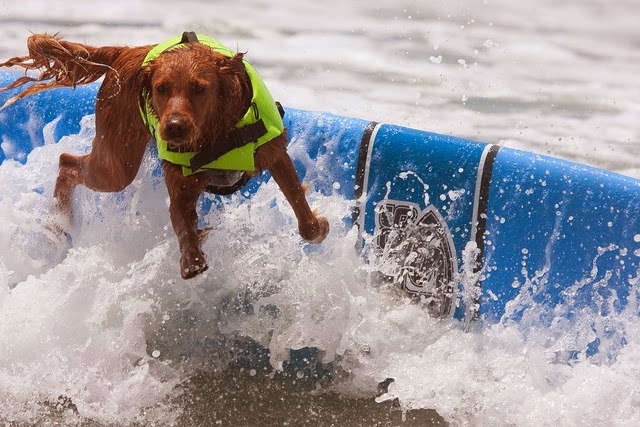 Although not a species renowned for its participation in extreme sports there is a cross section of the canine community which likes nothing better than to take to the waves – on surf boards.